Now it’s the time when many people are looking to lose weight so that they can look their best on their summer holiday and that includes me! I’ve been actually working really hard to lose all the weight that I gained in winter so that I look good in my summer clothes. I’ve already lost some weight a few months ago but now I am having another push to lose some more. My approach is to be more aware of what I eat, paying more attention to calories I eat every day. I also keep active to boost my metabolism and speed up the weight loss. I started calorie counting in March this year and it worked really well for me. But I only tried it for 3 weeks and then left it. Now I am back to it as I want to lose more weight and calorie counting does work for me. Apart from calorie counting I also aim to be more active so I don’t only do outdoor activities such as hiking and cycling (normally weekends) but I also do home workouts. This is my number one tip as it’s really easy to say you will try and work out at home but then you don’t follow it through. Getting into the routine is not easy so you will find some resistance in the beginning. But this can be easily dealt with. First, think about the best time to exercise, something that works for you well. Is it in the morning, before going to work? Or lunchtime? Or after work? 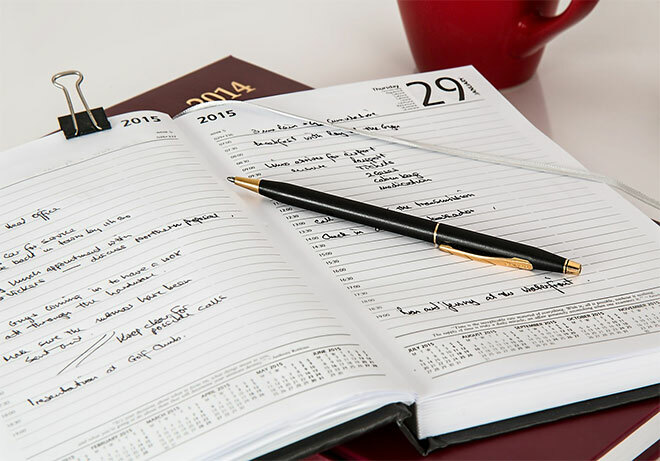 Whatever it is, pick the best timing for you and then schedule it into your daily plan. Write it down and set a reminder. In this way you have a clear intention, you know when you are doing it and you will be less tempted to avoid it. Not everybody will have enough space in their home for exercising and in this case, the best is to clear one area to make enough space. 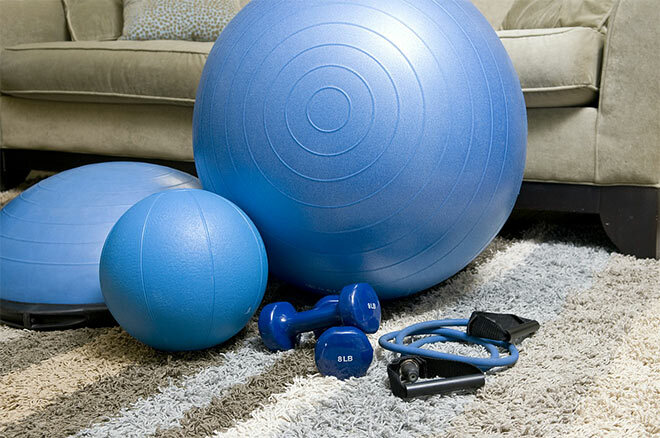 Maybe you arrange your furniture differently to make more space or you can just temporary move light furniture for the duration of the workout. I tend to move the coffee table out of the way and then I have enough space in the living room to do my workouts. It’s even better, of course, if you have one room only for exercise – you can put all the exercise stuff there (mats, towels, etc.) and you can even make it into a small gym if you like. If you prepare yourself in advance you will less likely skip the planned exercise. So decide on what to wear, get your mat out and lay everything out, just to get reminded of your intention to exercise. You can do this the day before or in the morning of the day you are planning to work out. If all is prepared for you and you just have to go and do the exercise, how likely are you going to avoid it? If anything, this just pushes you to do it because you’ve already prepared everything. When exercising it’s important to wear something comfortable. Anything too tight and you won’t enjoy the exercise. If you gained weight and all your clothes are too tight, it may be a good idea to get yourself something more comfortable, just for workouts. This makes exercise more enjoyable and you will feel less body-conscious when you do that. Because the last thing you want to focus on when you exercise is your tummy rolls, emphasized by a tight-fitting top, or your muffin top which looks worse when wearing really tight trousers. So always wear comfortable clothes for your workouts and something you feel good in. Exercise can be much more fun when you are working out with other people. See whether you can include your partner or a friend to make it more fun. Invite them over and schedule your session in. You can do this on the weekends when everybody has more time. Arranging to exercise with others can give you a motivation boost and you can encourage each other or even compete with each other to see which one does better. Of course, this doesn’t have to be all indoors, you can also take it outdoors if you like. If you keep doing the same type of exercises you will quickly get bored and won’t be as motivated to exercise. Not to mention that your body won’t be as challenged and the results may not come as quickly. For me, 7-minute workouts work very well – they are quick and effective and when I do them regularly I can definitely see an improvement on my body. But I do get bored doing them all the time so recently I started looking at alternatives. Then, there are paid programmes online which you can join for a monthly fee. These are great as you don’t only get an access to various workouts, but you also get nutritional advice and lots of support when trying to lose weight. Recently I’ve discovered Beach Body On Demand and started doing their free trial. Totally love this stuff! With Beach Body on Demand you will have access to hundreds of various programmes and videos that you can access on your computer or via your smartphone. They keep adding new workouts so you never get bored. And it’s not only about workouts, you also get loads of PDFs to help you plan your workouts and meals and to record your progress. So yeah, this is a great stuff and I love it. 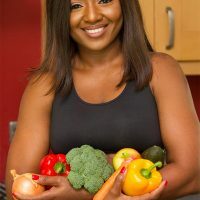 Alternatively, if you need a little bit more guidance on your weight loss journey, you could go for a personalised programme which includes exercise videos to keep you motivated and focused, a personal coaching plan, recipe videos and even a recipe book. It’s basically like having your own personal trainer online, isn’t that cool? And you don’t even have to go to the gym, everything can be done at home, for a fraction of a cost. There are many online workouts you could follow that require no equipment but if you get yourself some exercise accessories and equipment, it just means you can spice things up a little bit. Owing some exercise accessories and equipment means that you can try different types of workouts but this also allows you to make your exercise more interesting and varied. So you will less likely to get bored, not to mention that you will be able to follow more workout videos online. The equipment and accessories that can come really handy at home are things like dumbbells, kettlebell, medicine ball and resistance bands. You could also go for something more advanced and challenging such as an abs roller or TRX Suspension trainer. What to buy really depends on your current fitness levels and how much you want to spend. Resistance bands, for example, are great for all fitness levels and they are really affordable. An abs roller is quite affordable as well but it’s more suitable for advanced users. So there you have it, my top tips for exercising at home. What do you think of these tips? Do you have anything to add? Do you exercise at home or are you planning to? I would love to hear your comments! I really appreciate the tips because since I have been so busy with work lately I have been trying to make time to workout at home rather than going to the gym. With my job schedule getting a little bit crazier and my kids to take care of as well, I have had very little time to workout to begin with. Knowing how to get a fulfilling workout at home is important for me. I wanted to ask more about beach body on demand however. I have heard some mixed reviews about it. I know that you get a hundred videos when you sign up for the program but do you get to have the option of watching video series? For instance, if you are interested in building muscle or say burning fat, are there videos you can watch in succession to work towards each end goal? Also I stumbled across another program that I am on the fence about. I came across this review http://simplefitnessproject.com/reviews/old-school-new-body/ where a user lost weight supposedly by working out 90 minutes a week with HIIT like workouts. Is this achievable? I know I asked a bunch of questions but I value your two cents. Thanks! I am glad you are finding my tips useful Karen. BeachBody on Demand is amazing. You have access to so many different programmes (series of videos), each of them slightly different, tailored to whatever goals you want to achieve. You can filter workouts by how long they take so if you have less than 30 minutes to exercise you can pick one of those workouts. T25 Focus is one such programme which delivers great results for less than 30 minutes of exercise a day (I’ve been doing this one mostly). But it’s really hard – I recommend it if you are not totally new to exercise and have done some HIIT workouts already. This programme is great for toning and losing weight. HIIT workouts are great for weight loss as they speed up your metabolism and you burn quite a lot of calories in a short amount of time. So yes, I do recommend them and they don’t take too much of your time which is another plus. But if you are going to give them a try I would also advise you to do some weight/strength training alongside as this will help with weight loss even more. I hope that helps. I just recently just started working out at home instead of going to the gym due to my crazy schedule. Totally agree that it is very important that we set a specific schedule since I have the tendency of procrastinating it. Thank you for your tips. I will make sure that I will vary my routine. I have the same approach – to be more aware of what I eat. And, of course, to exercise as it helps to boost metabolism and just move, stretch out the muscles. Calorie counting is a really great way how to loose weight. I did it for a few months but I must say that it takes a lot of determination as it takes time every day. But yeah, I stopped after a while and realised that I had new habits. I knew what I have to eat, how much and how much calories everything had. But enough about that. I love every tip you gave. It’s really important to schedule your workouts, know where you’ll exercise and what exactly will you do. Of course, it’s better if you have really comfy clothes and he place where you’ll work out has that appropriate environment – nor too hot nor cold, there really is a room for you to do your workout, there is the right equimpent..
You are right Paul, calorie counting is not easy but it’s a good start for those wanting to lose weight. I think I am now getting to the same stage where you got to, when you know how many calories everything has and you know how much you should eat. I think with time I will totally stop counting calories as well.